It’s going to be a busy month in Swansea Bay this April, and some of the highlights include the launch of a new gallery space, a visit from an award-winning author, a trio of dances from our national dance company, and a return to the road for a Swansea musical legend. Join in me in Waterstones this April where I’ll be in conversation with an author who became a Costa book prize winner at the first time of asking. 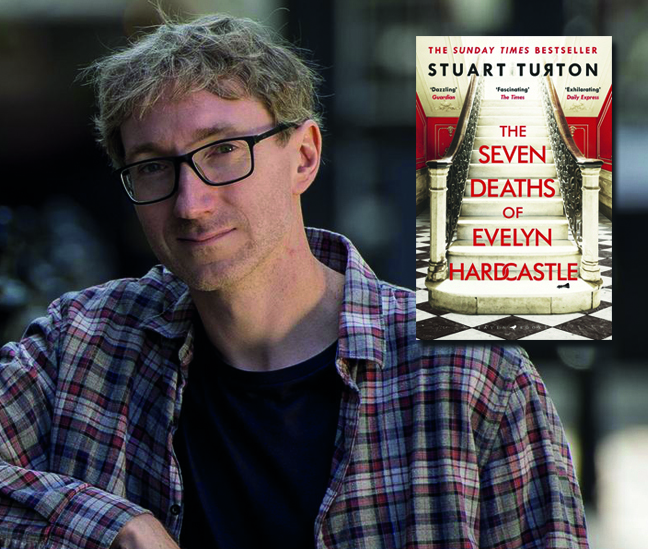 Stuart Turton, who won the Costa First Novel Award 2018 for his debut novel ‘The Seven Deaths of Evelyn Hardcastle’, will be paying a visit to the city to chat about the book, sign some copies, read an extract or two, and meet and greet with a Q&A session in the bookshop’s relaxed upstairs area. National Dance Company Wales return to Swansea this month with their spring tour Awakening. Comprising of three unique dances to “amuse and amaze,” it begins with Afterimage by the Brazilian choreographer Fernando Melo, which is a journey of fleeting images in which mirrors are used on stage to form a unique theatrical experience; Revellers’ Mass delves into a “sumptuous world of ritual”, with the choreography and curious characters inspired by religious iconic paintings and historical events; while Tundra tears pages from the history books on Russian folk dance, the USSR and revolution, revitalising old ideas with renewed meaning. 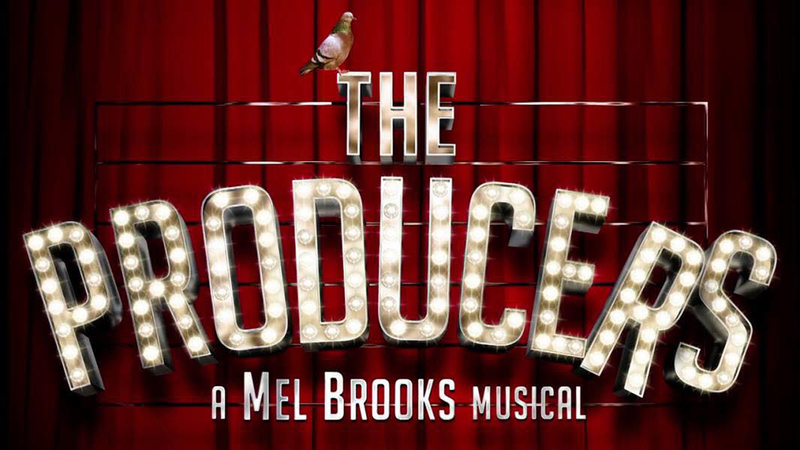 Just down the road in Port Talbot, one of Swansea Bay’s finest am dram groups will be staging a production of one of Mel Brooks’ finest musicals. The cult comedy The Producers follows the antics of Bialystock and Bloom, two hapless conmen who set out to make Broadway’s biggest flop, but accidentally strike gold with their intentionality offensive production of ‘Springtime for Hitler.’ A musical classic, it will also be familiar to many for the big-screen version starring Nathan Lane and Matthew Broderick. One of Swansea’s longest-running art galleries will open the doors to its new premises this April. Elysium have been at the cutting edge of the city’s visual arts scene for more than a decade and have now joined fellow cultural hotspots like Volcano and Galerie Simpson in making High Street their home. Based in the old Champers Nightclub building (hands up if you remember Champers! 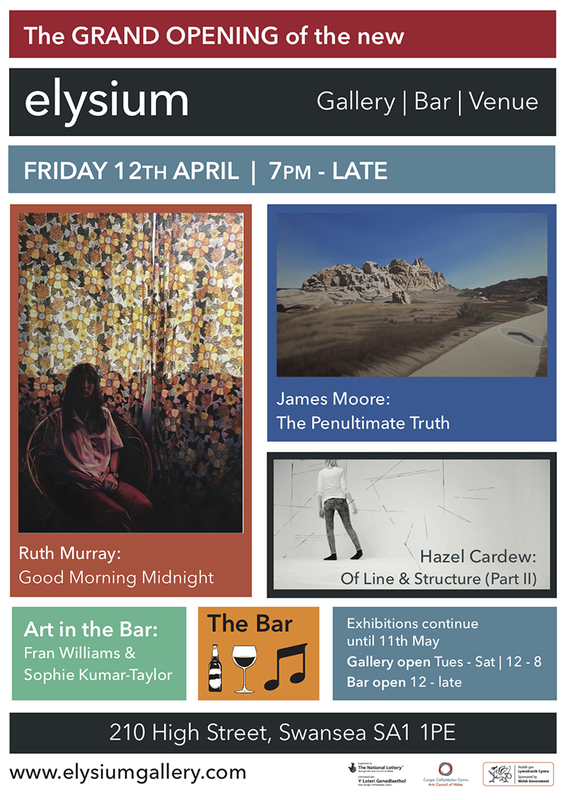 ), they’ll kick things off with a launch party on Friday, April 12, followed by talks and a DJ on the Saturday. Their fifth home in twelve years will include two main exhibition spaces and will incorporate a bar and venue space into the gallery, allowing them to host live music and events. Following the opening weekend, Elysium will then be open Tuesdays to Saturdays, 12-7pm. He’s a Swansea legend, and now the BBC Radio Wales DJ, who has written songs for some of the biggest names in music, is back on the road with his first tour in a very long time. More recently, Mal has been packing out venues with Cappuccino Girls, and I think it’s safe to assume that he’ll be playing a tune or two from the hit musical. But he has plenty of other songs – and a fair few anecdotes – up his sleeve too, from his time touring and writing with the likes of Elton John, Art Garfunkel, and Belinda Carlisle. 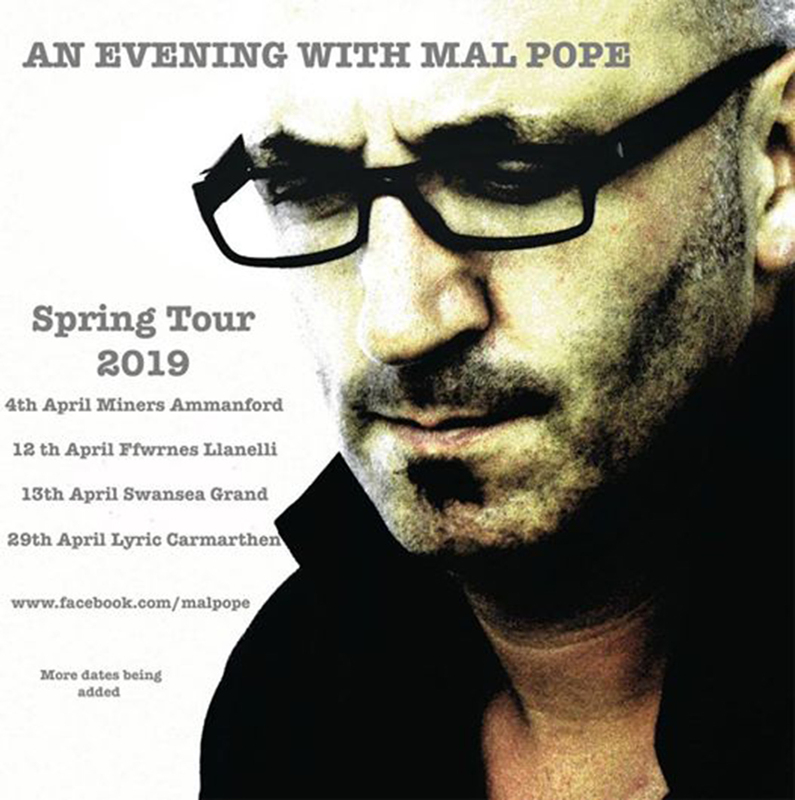 If you can’t make the gig at the Grand, you can also catch Mal at Ammanford Miners on April 4, Llanelli’s Ffwrnes on April 12, and Carmarthen’s Lyric on April 26.